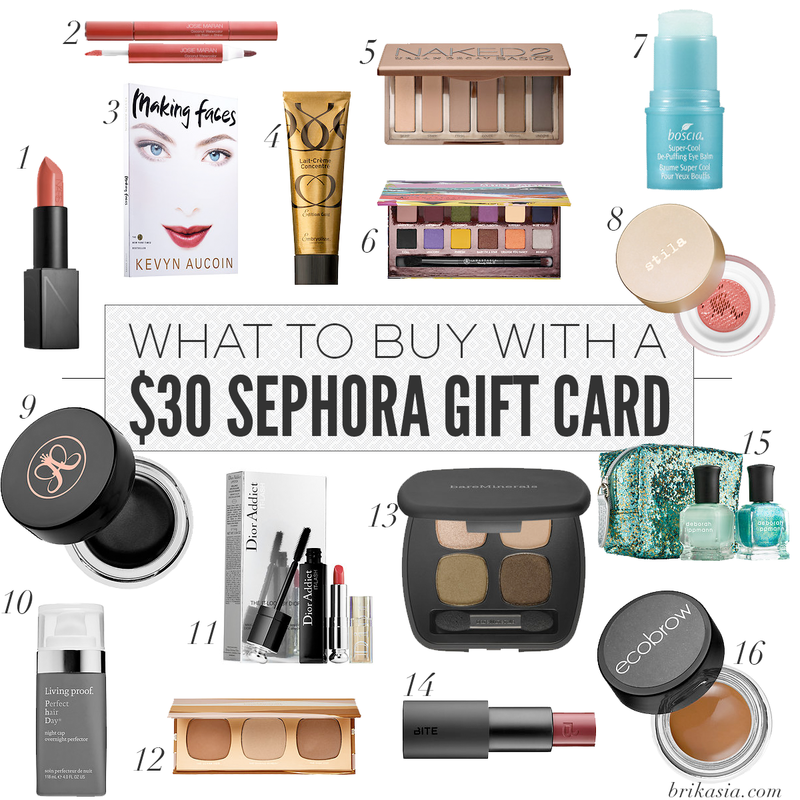 Win a $30 Sephora Gift Card! May Giveaway! Back to the giveaway! Here are the important details: You must be 18 years or older to enter. This giveaway is open to U.S.A. residents only. This giveaway is open RIGHT NOW and ends May 31at 12:00 AM EST. There are 10 possible entries that you can get. The winner will be announced within 24 hours, and the winner has 24 hours to claim their prize. And I am pretty sure that's all you need to know! Enter now! Thanks for the giveaway! I would use it to pick up the Becca The One brush! I would buy mac lipstick, benefit dandelion, or urban decay eyeshadow. I would buy the Naked 2 Eyeshadow Palette! I would gift this to my GF.. she could pick out something she wanted. I would put it towards Estee Lauder perfume. I would use the gift card to buy some foundation and eye shadow. I would buy a good contour palette. I would buy NARS foundation primer. I would get the bareMinerals COMPLEXION RESCUE Tinted Hydrating Gel Cream! I will get Fresh skin care products. I would get some new eye shadow and eye liner if I won! I would get bronzer to give me some color. I try to stay out of the sun. I would buy living proof shampoo! I have a lot of fly away and frizz and I hear this product rocks! I would buy the Laura Mercier setting powder or a Benefit blush/bronzer. I would probably put the gift certificate towards the Naked 3 palette! I would get some Boscia BB cream and a Naked pallet for summer. I would get the new sun safety favorites box for this year! I would buy a new foundation. I would buy Josie Maran argan oil. I would buy a new foundation! I would buy some type of mineral makeup. I would buy a contouring kit! I would give the gift card to my GF. I would love to buy mineral makeup.